Memorial services are scheduled for 10 a.m. Friday, Aug. 18, at First Baptist Church for Shirley Lynn Doss Buck. Buck, 80, joined her Lord in heaven Saturday, Aug. 12, 2017, surrounded by her loving family as she told them each goodbye. Shirley was born Feb. 11, 1937, in Pampa, Texas, to Leatrice and Mancel Doss. In 1954, she married Freddie Starkey, and the couple had two children together. She later married Clarence Sperling in 1969. He preceded her in death May 16, 2007. On Feb. 14, 2009, she married Charles Buck. Shirley loved helping others. She worked at Artesia General Hospital as a medical technician for many years. She later earned a license as a LPN and worked at the Pecos Valley Lodge in Roswell. After hard work and dedication to the nursing profession, she became the director of nurses at the Good Samaritan Home in Artesia. 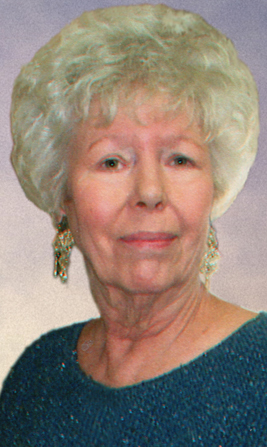 Shirley had a great love for antiques, traveling, dancing and animals. Survivors include her husband, Charles Buck; beloved daughter and son-in-law Shawn and Randy Kinnibrugh; precious son Todd Starkey; stepchildren Lisa Keavenly, Kyle Sperling, Mark Sperling, Joel Buck, Kathy Lynn Harper and Jolynn Green; her grandchildren, to whom she was “Mimaw,” Chris Pearson, Amber Glass, Cole Kinnibrugh, Colton Starkey and Trevor Starkey; and numerous great-grandchildren. She was preceded in death by her parents and a daughter, Sherry. Shirley will be remembered for her wonderful sense of humor, quick wit, and determination to succeed at anything she put her mind to. Memorial contributions may be made to Paws & Claws or St. Jude Children’s Research Hospital.